The keystone of the NOLS library, the Cookery has been a trusted and reliable resource used in the field by NOLS students and instructors for 50 years. 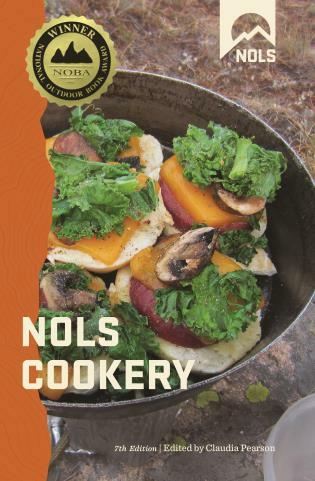 First published by Stackpole in 1991, NOLS Cookery is in its 7th edition with 125,000 copies in print. Whether you’re a first-time backpacker or a seasoned backcountry cook, you’ll learn from the cookbook used by the experts in outdoor education. With more than 2 million meals prepared in the wilderness, NOLS speaks with authority on the art of outdoor cooking. This new edition includes important nutritional information that supports the 200 recipes plus a special section of recipes from around the world, new recipes for lightweight backpacking and recipes that can be prepared in advance of the trip. seven editions of the NOLS Cookery.